I am a trial lawyer who handles four principal types of cases: family law, criminal, personal injury, and legal ethics violations. I was born and raised a Midwesterner, attended law school in Sacramento, and first came to Nevada in 1984 to begin a clerkship with the Honorable Norman C. Robison in Douglas County, Nevada. I was immediately taken with Nevada’s rural beauty and outdoor opportunities, and made Nevada my home. I spent five years working for the civil firm of Manoukian, Scarpello & Alling, Ltd., at Lake Tahoe and Carson City, practicing in estates, personal injury, and general business law and litigation. I also spent three years in the UNR evening MBA program. In 1990, I left to form my own firm in Reno, Nevada, and a year later formed a partnership with Reno attorney John Ohlson, practicing together until 2003. I was a sole practitioner until 2015 at the Law Offices of John Springgate, working primarily in family and criminal law. I have helped clients in all phases of family law, from divorce and separation, to child custody, support, termination of parental rights, adoptions, and protective orders. My criminal matters have included representation of clients at all levels, from simple misdemeanors to death penalty cases, in both State and Federal Courts. I am very proud to have earned the prestigious Martindale-Hubbell AV rating, the highest possible, and I am listed in their Bar Register of Preeminent Lawyers. I am a graduate of the University of California, Davis (B.A., 1981), and the McGeorge School of Law, University of the Pacific (J.D., 1984), graduating in the top 25% of my class, and a member of the Traynor Honor Society. I have served as Judge Pro Tem for Sparks Justice Court, Reno Justice Court, and Reno Municipal Court, and I have been a member of the Family Court Bench Bar Committee since inception. I have served as a Special Prosecutor for the City of Reno, and lectured in both Domestic Relations and Legal Ethics, also serving on the State Bar Disciplinary Panel for nine years. I was a past President of the Douglas County Bar Association, and President of Our Lady of Snows School Board. I am a member of the State Bar Family Law Section, and Nevada Attorneys for Criminal Justice. I have raised four adult children, and enjoy fishing, biking, our dogs, and the beauty of the Truckee Meadows. 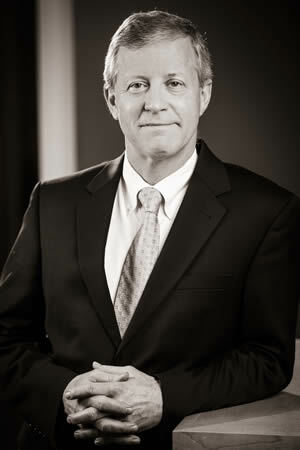 Thirty-five years of law practice has given me a wide range of experience: I have drafted documents; handled civil commercial litigation; represented plaintiffs and defense in personal injury cases; practiced criminal law; and conducted trials in family law case ranging from clients with no assets, to clients with marital estates in the many millions. I have always been an advocate and trial lawyer. My job is to make sure my client is treated fairly, and leaves the process with what he or she is entitled to under the law. That is the heart of my practice. I bring that trial and courtroom experience with me, to make sure that everyone has a fair trial in every matter. This is no such thing as a “little” case–divorces, custody disputes, visitation, adoptions, and terminations happen every day, and they can be the most devastating thing to ever happen to a family. I have tried or argued hundreds of cases, and worked on thousands of client matters, over the years. That includes the negotiation and settlement of hundreds of family law cases, and I bring that experience with me to help my clients resolve their differences in these complex, layered, important matters. Family law, criminal law, personal injury, and, yes, even lawyer behavior, is about people, and my practice has always involved helping individuals when their life is at its most difficult.